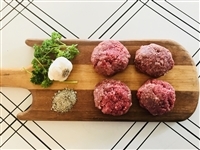 Already made hamburger patties for your grill or skillet. These will save you time when your day has been rushed, but you still would like to serve your family the nutrition their bodies crave. Grab some lettuce, tomato, cheese, and your favorite type of bun, and you have yourself a meal.